They’re letting us into an art gallery! Get up off the floor and stop laughing. 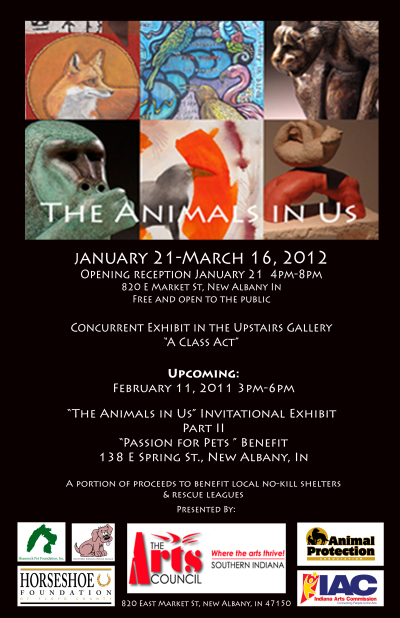 Our anthology BEASTLY TALES is part of the Arts Council of Southern Indiana‘s current exhibit, The Animals In Us. We’ll be at the opening reception AND at the invitational. If you’re in the area, pop in and introduce yourself. This entry was posted in Stranger Than Fiction, What We're Up To and tagged appearances, short stories. Bookmark the permalink.